Show a card that makes you happy! All this talk about "investing" and such...let's see some cards!!!! 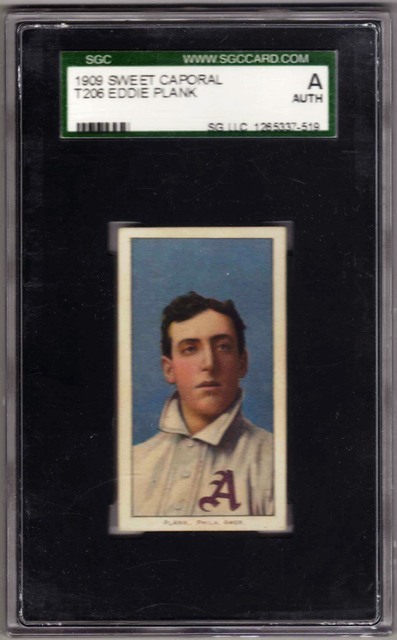 I love this donlin pose...I fell in love with the t213-2 card with the .300 hitter caption when I was younger...I eventually sought it out and went for a coupon run. This t213-3 OP is the icing on the cake for me! One of my favorite cards. I bet everyone has a card that when they look at it, it makes them happy. What other card for me, of course? When this greets me at my office, I always return the smile. that Young seems undergraded from here; I must be missing something. Last edited by MattyC; 04-12-2019 at 09:05 AM. Funny...all the cards that have been posted make me smile..and I have most of them!!!!!!! That makes you one happy man!!! Before anyone asks, I don't own it, but seeing it reminds me that there is always more to be found, and that makes me happy. I have always loved this card, from the Jeff Morey collection. 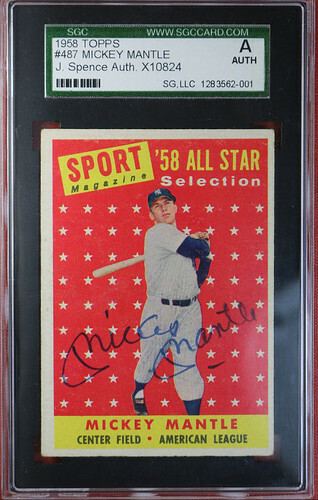 This PSA 8 card is about five times nicer than the one I dreamed of having from my local card shop at age seven. You can't not smile at that. While it's not a REAL card, my little brother made this card of me when he was like 8 or 9 years old. Almost 50 years later, I STILL have it and we STILL laugh about it! When I was a kid they would have called the condition of this Huggins vg/e. The sight of this card always makes me happy as I picked it up at the very start of my vintage card journey, and it taught me perfection is in the eye of the beat-up beholder. George was my parents favorite player of my favorite team (Saskatchewan Roughriders of the CFL) every time I look at it, I think of them. nice brian!!!! This is my first ever t206 from the early 80's...it was $2! Nice as well, and mine was from 1981 and also around $2.00 (I got 5 1910 era HOF cards for $11 at the first show I ever went to, and actually the first table just inside the door...I spent all the money I had within the first couple of minutes! I was destined to collect vintage). I guess $2.00 was the going rate for T206 Mattys back then. My story is very similar it was one of my first shows with my dad and some guy walking around offered it to me and I bought it! Love this image and everything about it! Erick, that PC is awesome. Card #15 in Series 1, it was in the first packs that came out in 1967. Reminds me of those chilly Minnesota April days when we couldn't wait for the weather to get just a little warmer so we could play baseball. Last edited by TheBig6; 04-13-2019 at 12:27 PM. Cool card, and even funnier in that they spelled funny 'funy'. That is really amazing the price difference back then compared to today! Last card in my blue Chase run which completes this sub-set (started in 1981). 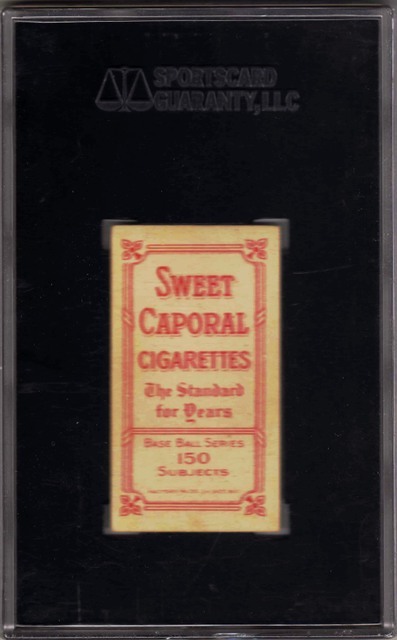 This Plank completes my SWEET CAPORAL Factory #30 set of 468 cards (after 10 years of collecting these "sweet" T206's). 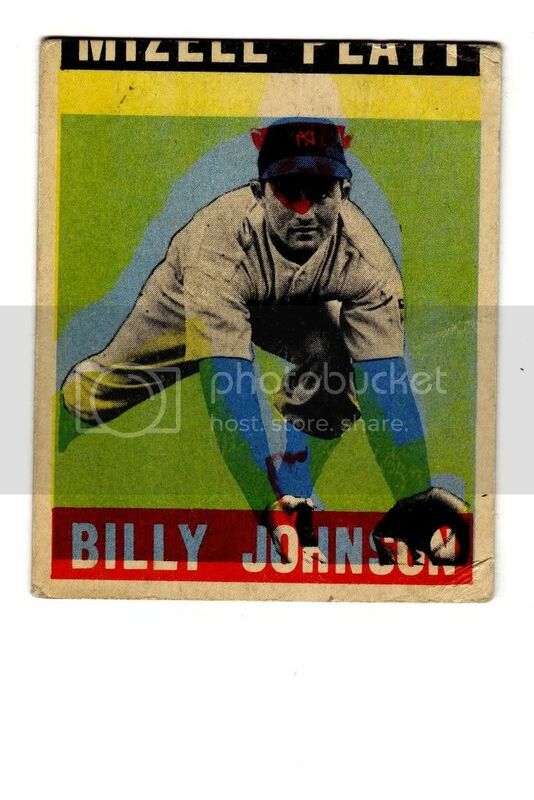 Does a BB card get any more "psychedelic" looking than this 1949 LEAF card ? Fantastic cards Ted!!!!!! That plank is suhweet! And love the devil horns on billy johnson!!!! This card brings back great memories of the childhood collecting days and watching the Big Red Machine. I have a couple to share. The 1960 Topps Koufax was my first real vintage card buy when I around 8 or 9 back in the mid-80s. It was at a local flea market that had a card dealer. I'd buy boxes of 80s junk wax and one day picked up this baby. 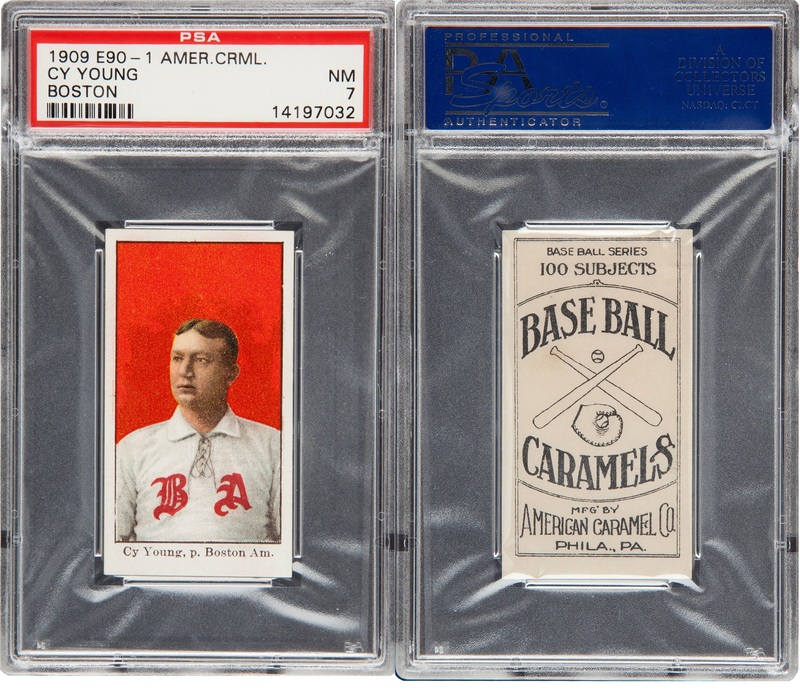 The T206 Hannifan was not only my first T206, but it was my first prewar card and my first Jersey City card that started that collection. Back in the 80s when I picked up that Koufax, what I really wanted more than anything was tobacco cards. Specifically T206s. I knew about the Wagner and thought those cards were so awesome. But I thought they were so rare, where would a kid ever find them to purchase and they must have cost a ton. Of course, I was wrong, but never knew it at the time. 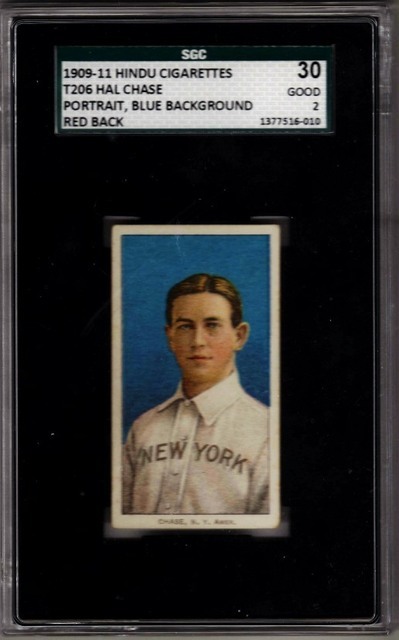 I could've been collecting prewar as a kid, like I wanted to, and would have been able to pick up T206 HOFers for a few dollars. 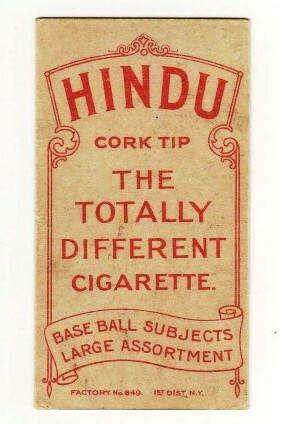 When I got older and found that out, I was so upset that I never knew it back them and I missed out on all those wonderful tobacco cards. 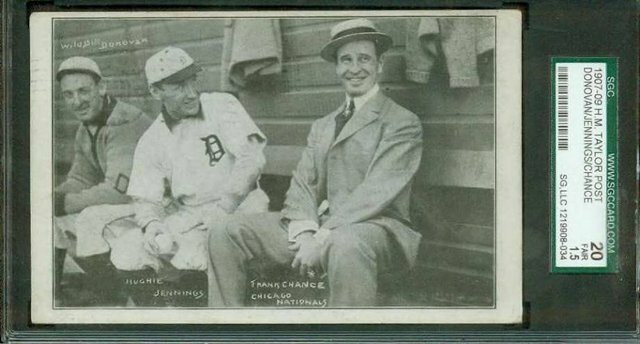 Definitely this one with Mays and Robinson a close second.